Tenor Michael Merullo is looking forward to his fourth season with Cantata Singers performing in both their Concert and Chamber Series. This native Bostonian is rooted in the local opera, choral and musical theatre communities. This season Michael will return to the Odyssey Opera stage to perform a concert version of Charles Gounod’s La reine de Saba (The Queen of Sheba.) Michael will also serve as the Artist in Residence at the Metropolitan Chorale of Brookline and returns to the Boston Pops roster in their Holiday Tour. Previous engagements include his annual involvement with the Boston Youth Symphony in their winter opera, performing in the world premiere of the Ouroboros Trilogy of operas and his solo work with the Sippican Choral Society. Additionally, he performed three programs as co-founder of "Bella and the Fellas." This touring company takes semi-staged, semi-costumed operetta or musical theatre scenes and duets to local retirement communities around New England. Recent role highlights include Count Carl-Magnus Malcolm, A Little Night Music; Arbace, Idomendo; and Basilio, Le nozze di Figaro. Mr. Merullo was awarded second place at the 2014 Piccola Opera Vocal Competition. He also received the Chancellor’s Talent Award at his alma mater all four years of his studies. 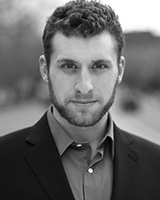 Alongside his freelance performance, Mr. Merullo enjoys sharing his skills as a voice teacher and educator. Mr. Merullo is nourished by his pursuits of outreach and education. He served twice as a guest judge for the NATS National Student Auditions: Boston Chapter vocal competition and substitute teaches both private lessons and school curriculum.